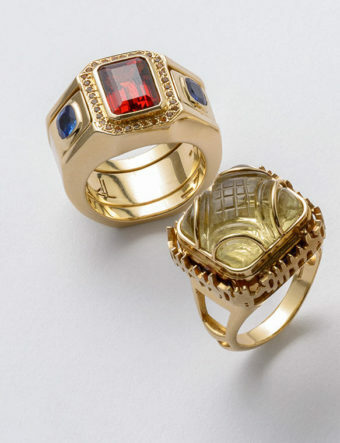 With the world at your fingertips, this piece is the perfect accessory for any modern-day explorer. 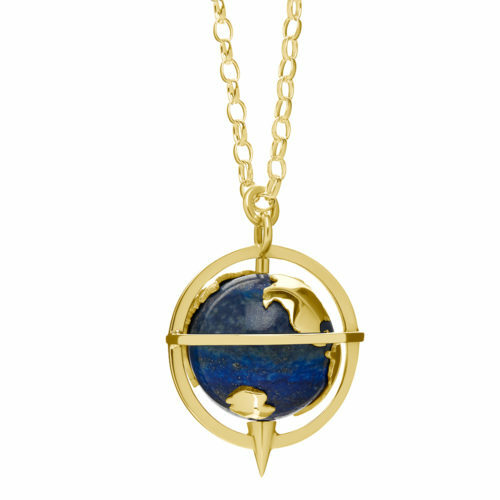 At the centre lies a beautifully mottled lapis lazuli globe; its rich, blue colour recalling the depths of the sea. 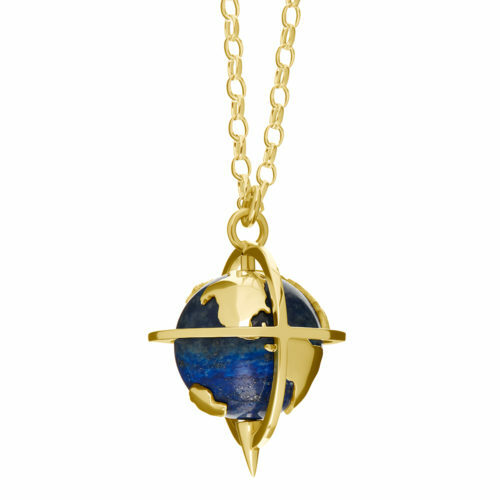 Encasing the stone globe is an overlaid map of the world in gold. 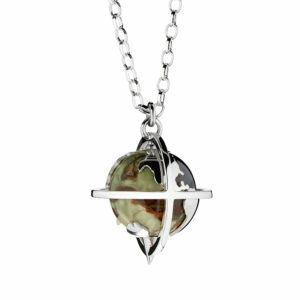 Not only does the pendant spin, the wearer can also choose to have a diamond set in a country or continent of choice on the map, adding a wonderful customisation element to this piece. 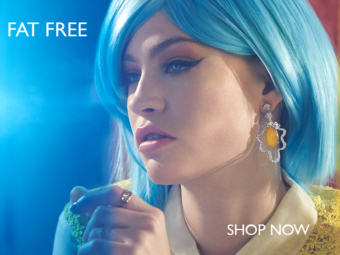 If you wish to have a diamond set into your pendant, please choose your desired location from the list of countries below.